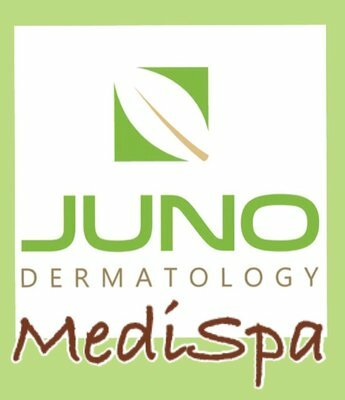 At Juno Dermatology MediSpa, we believe balance key to looking fresh and feeling beautiful. Everyone deserves a special place where they can unwind, relax, and rejuvenate. Is a carefully chosen combination of our specialty, Pristine® diamond tip microdermabrasion, and a 2% lactic acid peel. Using genuine laser-cut diamond-tip applicators, Pristine® exfoliates the skin surface while a gentle suction removes skin impurities. The benefits of lactic acid peel are countless: exfoliating, deep pore cleansing, lightening the pigment, improving the appearance of fine lines, and stimulating natural collagen production. This refreshing treatment is recommended for those with acne scarring, fine lines and photo damaged skin. It is also available for the neck, décolleté, back and other areas upon request. Just one treatment yields noticeably healthier and radiant complexion. A series of 6 is advised for an improvement of acne scarring. Is an ideal treatment for those with oily, acne-prone skin and enlarged pores in need of a deep cleanse. It is also an effective aid in the regimen of care for the mild acne condition, which makes it a number one recommendation for teens and adults struggling with acne and congested pores. The ingredients of this facial help clean and brighten the skin while reducing oil and supplying invigorating hydration. Clarifying Clay Masque draws out impurities and oils while the botanicals in Phyto Corrective Gel help to heal the acne. Is specially formulated for inflamed and irritated acneic skin types that are sensitive to most products. It is recommended for those using prescription acne medications, including Accutane. This multi-step, clinical strength facial delivers essential deep cleansing, detox and nourishment to the problematic skin, leaving it well hydrated and calm. This treatment may be used on the face, chest, and upper back and is a powerful supplement to the prescription acne regimen and skin care maintenance on a monthly basis. Is a remedy to soothe and strengthen irritated, sensitive and rosacea-prone skin. This gentle, yet powerful treatment employs the combined qualities of SkinCeuticals Anti Inflammatory Gel Peel and SkinCeuticals Vitamin C Firming Masque. The unique properties of the botanicals in Phyto Corrective Gel rehydrate the skin without leaving it oily, while its antibacterial and antiseptic properties help heal and calm sensitive and irritated skin. Is a luxurious treatment employing unique properties of the SkinCeuticals compounds to bring a luminous, hydrated and noticeably younger appearance. A key ingredient of this facial – Vitamin C Firming masque – brightens and firms the skin by stimulating cellular renewal. It is an excellent choice to help revive dehydrated, aging and environmentally damaged skin. This facial makes a great treat for a special occasion, it is also ideal for a series of treatments. Helps to reset the balance for the skin dulled by stress, illness, environment, medications or travel. The key components and procedures of this facial aim to stimulate cellular turnaround and speed up its renewal, leading to an overall better, more radiant complexion and, thus, healthier, and younger looking skin. Is a unique self-neutralizing treatment of chemical exfoliation, formulated with a combination of salicylic and glycolic acid, designed to minimize the appearance of surface lines, smooth out rough texture, aid in clearing acne and refining pores. A pigment balancing masque fades hyperpigmentation and helps to correct environmental skin damage. To achieve maximum results, a series of 6 treatments is recommended. Hands are one of the first places where the telltale signs of aging become apparent. Even if you have taken steps to keep your face and neck looking youthful, sun-damaged, thinned out and dehydrated skin on your hands can make you look older than you are. This luxurious treatment combines signature manipulation and SkinCeuticals skincare products to target age spots and crepey skin in overexposed and neglected areas. It helps brighten and re-densify your skin, leaving it silky smooth and re-hydrated. This advanced retexturing treatment combines chemical exfoliation, signature manipulation and SkinCeuticals skincare products to target dull, rough skin on the back. The back facial provides simultaneous hydration and exfoliation, making it ideal in a series or as a single treatment for a special occasion. Extractions are included, if necessary, followed by a customized masque and a relaxing massage. Offer an individualized approach to one’s skincare needs, addressing its multiple aspects and attending to all the areas of concern. The combined benefits of customized treatments promote collagen synthesis, improve the appearance of hyperpigmentation and sun damage, provide deep cleansing, soften and smooth the surface texture and diminish superficial lines and wrinkles. A customized package is an elaborate long-term skincare treatment plan and a perfect solution to maintain your skin’s health, promote its youth and radiance. Our licensed medical aesthetician will conduct a thorough skin analysis and help you choose one of the following packages, taking into consideration your personal goals. VI Peel represents the next generation of chemical exfoliants. Suitable for all skin types, it provides dramatic results with no skin preparation and minimal downtime. The synergic blends of its active ingredients are formulated to improve the texture and clarity of the skin, diminish the appearance of hyperpigmentation, soften fine lines and wrinkles, and stimulate fibroblast activity increasing collagen and elastin production. VI Peel with Precision Booster delivers a higher concentration of the key components of the original VI Peel, making it an excellent addition for addressing fine lines and stubborn hyperpigmentation, including age spots on arms, hands and chest. The Precision Plus Booster and pad system are specifically enriched with additional ingredients to target moderate to severe pigmentation. Using genuine laser-cut diamond-tip applicators, Pristine® exfoliates the skin surface while a gentle suction removes skin impurities. Whisk away those dead skin cells to uncover fresh, clear and rejuvenated skin. Safe and effective for face and body, this treatment is virtually painless and has minimal to no downtime. You will see visible results immediately after your very first treatment! A series of 4-6 sessions spaced 2-3 weeks apart will provide the best overall results. Dermaplaning is an exfoliative treatment performed using a modified surgical blade and a delicate stroking technique to abrade the outermost layers of the skin. Along with exfoliating, dermaplaning also removes the unwanted “peach fuzz” hair from the face. It is a safe and painless procedure that clears dead outer skin cells, resulting in a more refined, smooth and glowing appearance. Dermaplaning is recommended for those with rough, dry skin, superficial hyperpigmentation, mild acne scarring, or fine lines and wrinkles. Removing the top epidermal skin layer increases the rate of absorption of pharmaceuticals and skincare products into the deeper layers. Dermaplaning is highly beneficial as a preparatory basis for superficial chemical peels or cleansing facials. Daphne’s journey to becoming a skincare guru began early on in her life: the greatest impact on her life-long dedication had been made by her mother who was also a medical aesthetician. In 1985, shortly after she graduated from Caldwell College in New Jersey with the Bachelor of Arts degree in Psychology, Daphne became a skincare advisor and a make-up artist at Chanel at Bamberger’s in New Jersey. Her growing passion for learning skin rejuvenation and make-up artistry led Daphne to continue her education and hands on training at Dermalogica Academy and Atelier Esthetique Institute of Esthetics in New York, NY, where she received her medical aesthetician license. Daphne’s specialties include customized facials, chemical peels of various grades, microdermabrasion, dermaplaning, acne and rosacea treatments, antiaging protocols and skin analysis. Trained in the latest medical grade skincare products and the most innovative rejuvenation procedures, Daphne’s goal is to provide her clients with an individualized aesthetic care involving a customized treatment plan to help them restore, maintain and enhance their skin’s health. Making her clients look and feel better is the core of Daphne’s skincare philosophy. 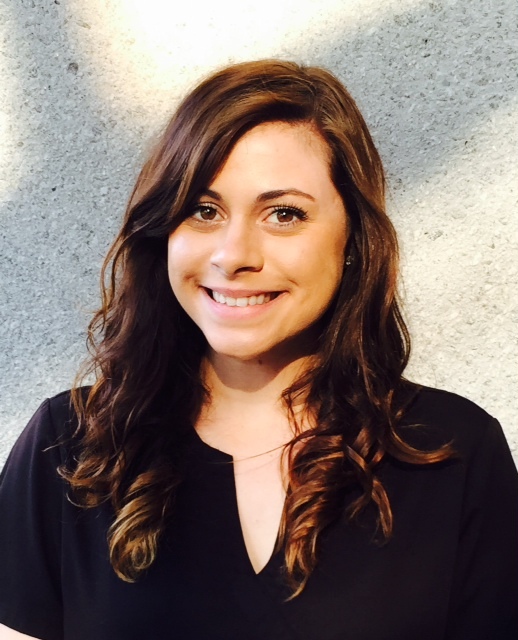 Meet Cassandra, our team’s Medical Aesthetician! Cassandra offers a holistic approach to skin care. Her philosophy on skin health revolves around balance and individuality. She enjoys working together with her clients to develop a customized treatment plan to meet their individual skin care goals. Cassandra artfully blends chemical peels, facials, microdermabrasion and professional grade skin care products to revitalize your skin. She also offers eyelash and eyebrow tinting, eyelash extensions and threading services. Cassandra graduated from the Florida College of Natural Health and is licensed by the state of Florida. In addition to her rigorous training in aesthetics, she has completed an extensive program specializing in ingredient knowledge which she utilizes to help select the right products for your skin. Cassandra is a great informational resource for those interested to learn more about other cosmetic procedures offered at our office, such as fillers, Botox, IPL treatments, laser hair removal, and fractioned laser skin resurfacing. 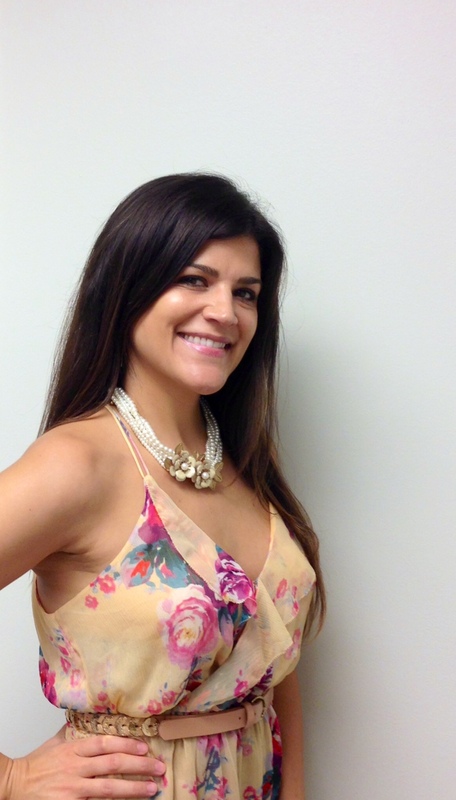 Originally from the Midwest, Naomi has enjoyed living in the natural beauty of South Florida for over 10 years. After graduating from Eastern Illinois University with a Bachelor’s Degree, she found her true passion in skin care. 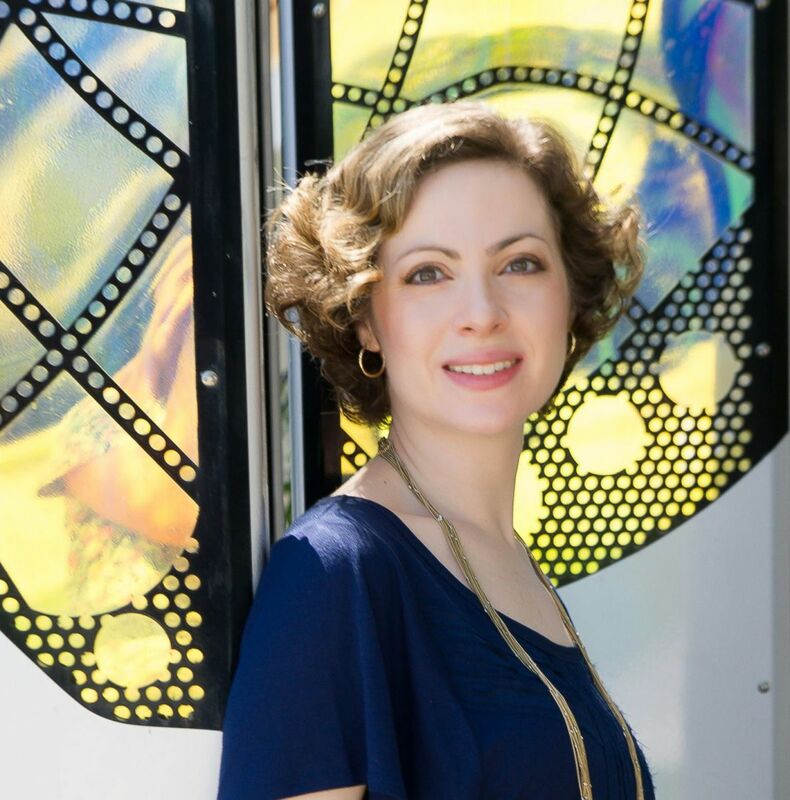 Naomi is dually licensed by the state of Florida as an aesthetician and an electrologist. She is an integral part of our team’s holistic approach to skin health and works under direct supervision of Dr. Anna Krishtul. Naomi’s focus has always been in the medical aesthetics side of the industry because she believes in result oriented treatments. Her goal is to make a real difference in restoring or maintaining your skin’s natural health and glow. She is experienced with medical grade skin care products, facials, chemical peels, and microdermabrasion. Naomi is also a great informational resource in the use of Juvederm, Voluma, Botox®, IPL photofacial, laser hair removal, and fractionated laser skin resurfacing — all offered at Juno Dermatology. Naomi’s philosophy on aesthetics is derived from her philosophy in life which is balance is key. A strong supporter of mind-body connection, she believes that one must shine from within to achieve our outer glow. Dr. Anna Krishtul is a Board Certified Dermatologist who specializes in medical dermatology, dermatologic surgery, as well as laser and cosmetic procedures. She graduated from Mount Sinai School of Medicine at the top of her class, earning membership in a prestigious medical honor society AOA (Alpha Omega Alpha). Following an internship in internal medicine at the University of Medicine and Dentistry of New Jersey, she completed her dermatology residency training at Mount Sinai Hospital in New York City, serving as a chief resident during her final year. 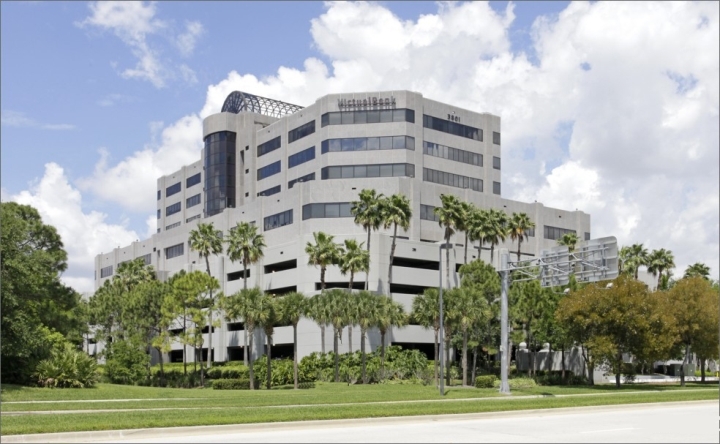 Prior to relocating to the beautiful Palm Beach Gardens, Dr. Krishtul had a successful private dermatology practice in Manhattan. She was an assistant clinical professor in the Department of Dermatology at Mount Sinai Hospital where she volunteered her time teaching dermatology residents. Dr. Krishtul is a member of several professional societies, including the American Academy of Dermatology. Dr. Krishtul’s professional interests range from general dermatological conditions such as acne, eczema, psoriasis, skin cancer screening and treatment to non-invasive anti-aging techniques. She published multiple articles on medical and cosmetic dermatology in several peer-reviewed journals, including Journal of the American Academy of Dermatology, International Journal of Dermatology, and Cosmetic Dermatology. In addition, Dr. Krishtul has authored a chapter in a textbook on the cosmetic use of botulinum toxin (Botox®).